We get asked this a lot. Why must Auto-BuyIn be disabled? How to change the buyin amount preset and remember the new value? Well, if we don’t disable Auto-BuyIn, Hiroku would not be able to analyze others “R” while having a reservation alive, because Stars would auto-accept our reservation. That would certainly lead to some miss-behaviors. If you are already playing a session and running Hiroku, you will have to stop the script for the desired site. Open any table (of the stake in which you want to modify the buyin amount!) and click on any open seat. This will open the buyin, expand the “more options button” if there is one. 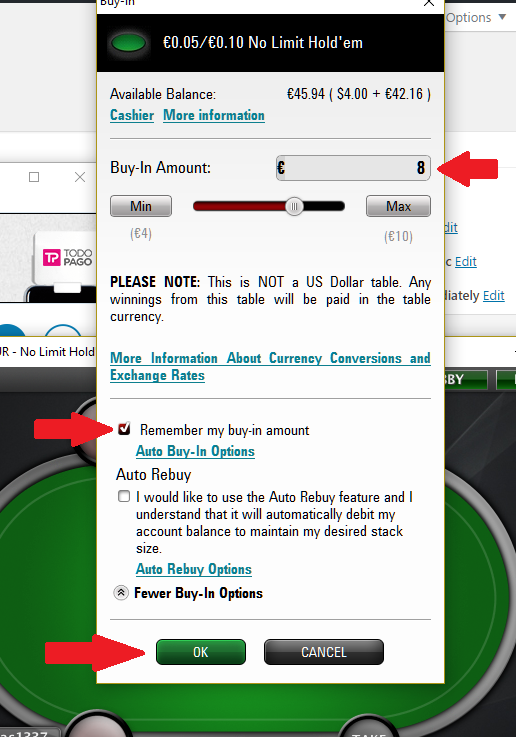 Set your buyin amount, and press “remember buyin amount” and the press “OK”. That’s it! Remember that unfortunately, you have to do this for each stake in which you want to modify the buyin amount. Ipoker: Works just as Pokerstars. 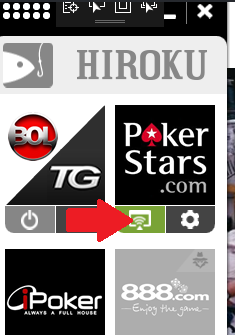 TigerGaming: Also works just as Pokerstars. Winamax: All you have to do is set up a custom value, and it will remember it the next time you seat at a table. PacificPoker/888: Pressing on “Other Amount” and setting up the value will remember your buyin amount. 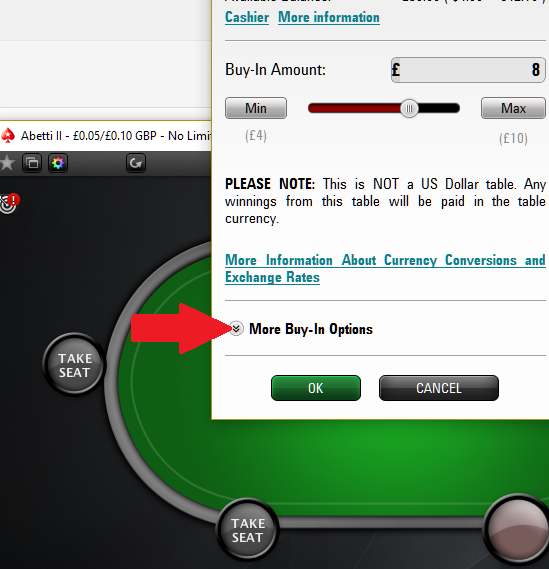 PartyPoker: Only available through PartyCaption (3rd party software), just go to Dialogs -> BuyIn, make sure to check “Active” and uncheck “Auto Accept” and set the amount. MicroGaming: Does not remember buyin amount. WinningPoker: Also does not remember buyin amount.